Experience dreamlike holidays in a class of its own. 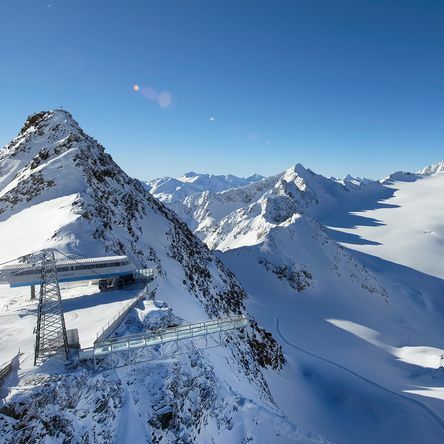 There is something for everyone on the 144 km of perfectly groomed slopes. Enjoy in our hand-carved arolla pine room. Smokers are welcome here! Your darling is of course very welcome in our hotel. .... in the Parkhotel Sölden, the cosy and traditional hotel in the centre of Sölden, protected by a river, we have a peaceful location. Our hotel offers you 46 rooms. 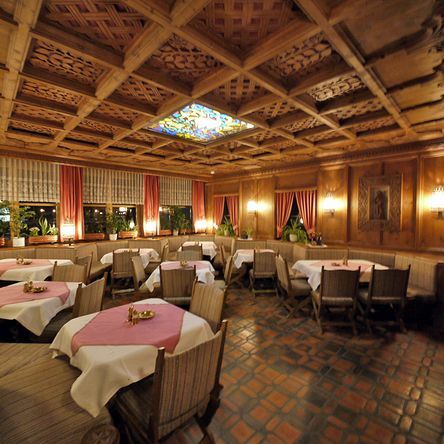 Our dining room, the hotel lobby (non-smoking area) and our "Zirmstüberl" (smoking area) are established in the Tyrolean style with pine wood and carvings. Our sauna and steam bath on the 4th floor with a gorgeous panoramic view are included in the price. For our solarium we charge EUR 5.- (20 minutes). We also offer free parking at the hotel and garage spaces for a fee, gourmet kitchen with a fine wine offer, high speed internet (WiFi in the whole hotel for free). 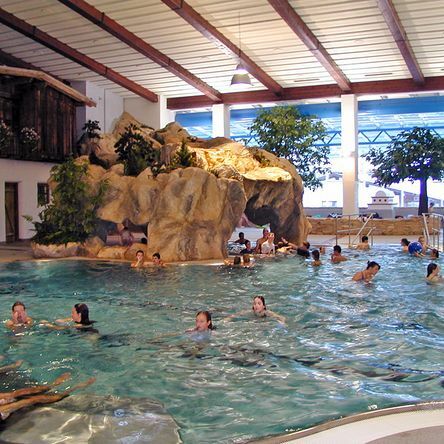 About 100 meters behind our hotel, there is the "Freizeit-Arena" (indoor swimming pool - in the summer included in the hotel price), gym, bowling alleys and sports hall.